Try the new Perfect Prep Day & Night for free! Try for free the new Perfect Prep Day & Night from TOMMEE TIPPEE! The Perfect Prep Day and Night from Tommee Tippee is a dream machine to help you overcome the challenge of getting enough sleep as a parent and make feeding time fuss free. 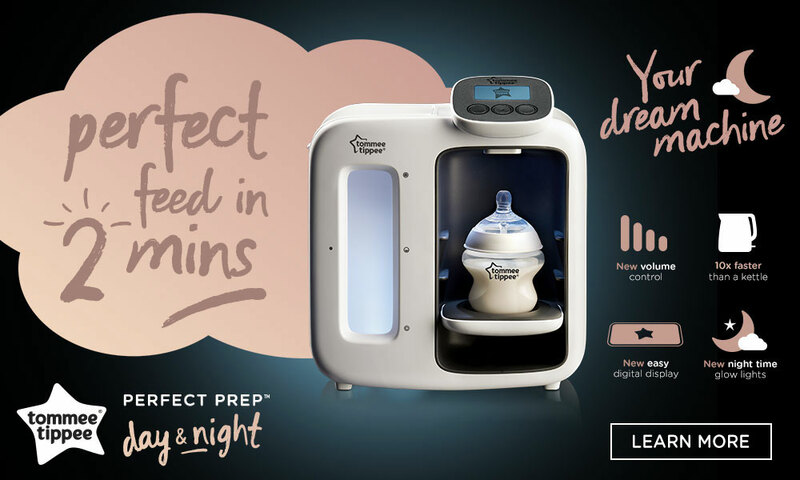 Not only does it prep the perfect bottle in two minutes, it’s also sleep friendly with added features specifically designed to make night feeding so much easier. The Perfect Prep machine works with most bottles and formula brands - just measure out the quantity you need. 3 Perfect Prep Day & Night to try!